This week’s referee spotlight focuses on Andy Woolmer, who was appointed the referee for the Swansea City v Middlesbrough Championship game on Saturday, 6 April 2019. Referee Woolmer was assisted by Timothy Wood and Dean Treleaven, with Richard Hulme the 4th Official for the game. A former postman, Woolmer is an experienced official having been appointed to the Referees List in 2004 and has gone on to referee more than 300 EFL matches. 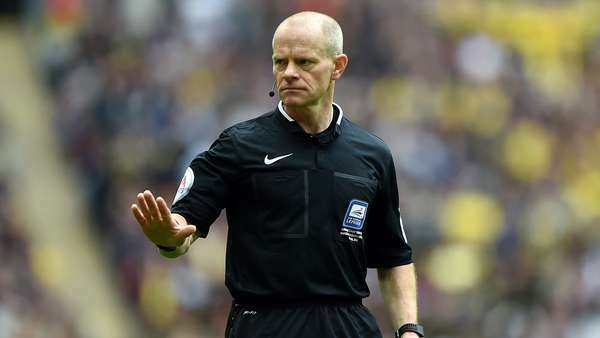 He has also served as a Premier League assistant referee for three years and ran the line in the 2003 League Cup Final and the FA Community Shield. Although he has been an official for many years, Woolmer has only been a referee for three Swansea City away games to date. This was the third time he has officiated a Swans home game.